Higher education institutions in the United States provide placement essay tests to ensure international students’ readiness for college courses. The high-stakes nature of placement tests makes educators and researchers seek significant components of differentiating levels of placement tests. 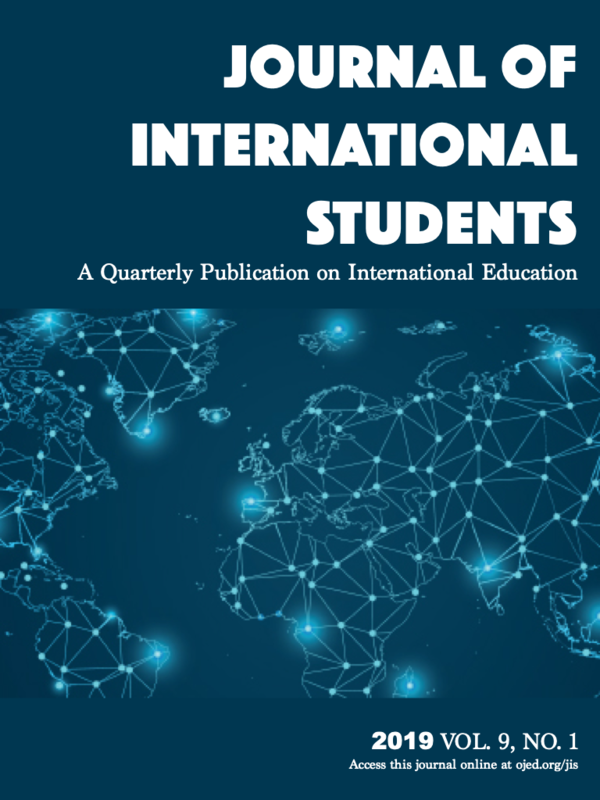 This study investigated the prediction of two levels (i.e., low vs. intermediate) of 411 placement test essays written by Chinese international students and examined the influence of linguistic and demographic features on placement test levels through logistic regression. The results show that the type-token ratio (TTR), tokens, college type, and graduate status were significant indicators to differentiate students’ placement test essays. However, several demographic features were not statistically significant. The results may shed light on improving writing skills of Chinese international students who scored intermediate or low in the placement tests. Baba, K. (2009). Aspects of lexical proficiency in writing summaries in a foreign language. Journal of Second Language Writing, 18, 191–208. Becker, W. E., & Johnston, C. (1999). The relationship between multiple choice and essay response questions in assessing economics understanding. The Economic Record, 75(231), 348–357. Bible, L., Simkin, M. G., & Kuechler, W. L. (2008) Using multiple-choice tests to evaluate students’ understanding of accounting. Accounting Education, 17, S55–S68. Bolger, N., & Kellaghan, T. (1990) Method of measurement and gender differences in scholastic achievement. Journal of Educational Measurement, 27(2), 165–174. Bridgeman, B. (1991). Essays and multiple-choice tests as predictors of college freshman GPA. Research in Higher Education, 32(3), 319–332. Bridgeman, B., & Lewis, C. (1994). The relationship of essay and multiple-choice scores with grades in college courses. Journal of Educational Measurement, 31(1), 37–50. Brown, H. D. (1994). Principles of language learning and teaching (3rd ed.). New Jersey: Prentice Hall. Cheng, L., & Fox, J. (2017) Who are we assessing? Placement, needs analysis and diagnostics. In L. Cheng & J. Fox (Eds. ), Assessment in the language classroom: Applied linguistics for the language classroom (pp. 139−165). London: Palgrave. Cheng, R., & Erben, A. (2012). Language anxiety: Experiences of Chinese graduate students at U.S. higher institutions. Journal of Studies in International Education, 16(5), 477–497. Crossley, S. A., & McNamara, D. S. (2012). Predicting second language writing proficiency: The roles of cohesion and linguistic sophistication. Journal of Research in Reading, 35(2), 115–135. Doró, K. (2007). The use of high- and low-frequency verbs in English native and non-native student writing. In Z. Lengyel & J. Navracsics (Eds. ), Second language lexical processes: Applied linguistic and psycholinguistic perspectives (pp. 117−129). Clevedon, England: Multilingual Matters. Du Plessis, S., & Du Plessis, S. (2009). A new and direct test of the ‘gender bias’ in multiple-choice questions. Stellenbosch Economic Working Paper. Engber, C. A. (1995). The relationship of lexical proficiency to the quality of ESL compositions. Journal of Second Language Writing, 4(2), 139–155. Ferris, D. (1994). Lexical and syntactic features of ESL writing by students at different levels of L2 proficiency. TESOL Quarterly, 28, 414–420. Ferris, D. R. (2009). Teaching college writing to diverse student populations. Ann Arbor, MI: Michigan ELT. Ferris, D. R., & Hedgcock, J. (2013). Teaching L2 composition: Purpose, process, and practice (3rd ed.). New York, NY: Routledge. Grover, J. (2013). Writing for the future. McNair Scholars Research Journal, 9(1), 21–43. Hancock, G. R., & Mueller, R. O. (2010). The reviewer's guide to quantitative methods in the social sciences. New York: Routledge. Harmer, J. (2007). The practice of English language teaching (4th ed.). New Jersey, NJ: Pearson Longman. Harrington, M. (2018). Size as a dimension of L2 vocabulary skill. In M. Harrington (Ed. ), Lexical facility: Size, recognition speed and consistency as dimensions of second language vocabulary knowledge (pp. 3–24). London: Palgrave Macmillan. Harris, R. B., & Kerby, W. C. (1997). Statewide performance assessment as a complement to multiple-choice testing in high school economics. Journal of Economic Education, 28(2), 122–134. Holley, J. H., & Jenkins, K. E. (1993). The relationship between student learning style and performance on various test question formats. Journal of Education for Business, 68(5), 301–308. Hughs, A. (2003). Testing for language teachers. Cambridge, UK: Cambridge University Press. Hyland, K. (2012). Bundles in academic discourse. Annual Review of Applied Linguistics, 32, 150–169. IBM Corp. (2016). IBM SPSS Statistics. Version 24 [Computer Software]. Armonk, NY. Lindqvist, C., Gudmundson, A., & Bardel, C. (2013). A new approach to measuring lexical sophistication in L2 oral production. Eurosla Monographs Series 2: L2 vocabulary acquisition, knowledge and use (pp. 109–126). Amsterdam: Eurosala. Lumsden, K. G., & Scott, A. (1995). Economics performance on multiple choice and essay examinations: a largescale study of accounting students. Accounting Education, 4(2), 153–167. Neumann, R. (2001). Disciplinary differences and university teaching. Studies in Higher Education, 26(2), 135–146. O’Connell, A. A. (2006). Logistic regression models for ordinal response variables. Thousand Oaks, CA: SAGE. Oppong, C. A. (2013). Gender differences in students’ performance in history at senior high schools in Cape Coast. Journal of Arts and Humanities, 2(1), 34–39. Read, J. (2015). Issues in post-entry language assessment in English-medium universities. Language Teaching, 48(2), 217–234. Reid, J. (1986). Using the writer’s workbench in composition teaching and testing. In C. Stansfield (Ed. ), Technology and language testing (pp. 167–188). Alexandria, VA: TESOL. Reid, J. (1990). Responding to different topic types: A quantitative analysis from a contrastive rhetoric perspective. In B. Kroll (Ed. ), Second language writing: Research insights for the classroom (pp. 191–210). Cambridge, UK: Cambridge University Press. Richards, B. (1986). Type/token ratios: What do they really tell us? Journal of Child Language, 14, 201–209. Singleton, D. (2001). Exploring the second language mental lexicon. Cambridge, UK: Cambridge University Press. Singleton-Jackson, J. A., Lumsden, D. B., & Newsom, R. (2009). Johnny still can’t write, even if he goes to college: A study of writing proficiency in higher education graduate students. Current Issues in Education, 12, 1–39. Steward, S., Lim, D., & Kim, J. (2015). Factors influencing college persistence for first-time students. Journal of Developmental Education, 38(3), 12–20. Thomas, D. (2005). Type-token ratios in one teacher’s classroom talk: An investigation of lexical complexity (Unpublished master’s thesis). University of Birmingham, UK. Williams, M. L., Waldauer, C., & Duggal, V. G. (1992). Gender differences in economic knowledge: An extension of the analysis. Journal of Economic Education, 23(3), 219−231.